Yet another successful Damon Hill Karting Challenge from halow this year! Stars from the world of motorsport turned out on Wednesday 20th June at Daytona Sandown Park to put young people with a learning disability in the driving seat, raising over £16,000 of vital funds for halow. Led by 1996 Formula 1 World Champion and halow Patron, Damon Hill OBE, 25 teams of drivers from companies in London and Surrey took part in a Le Mans style endurance race. 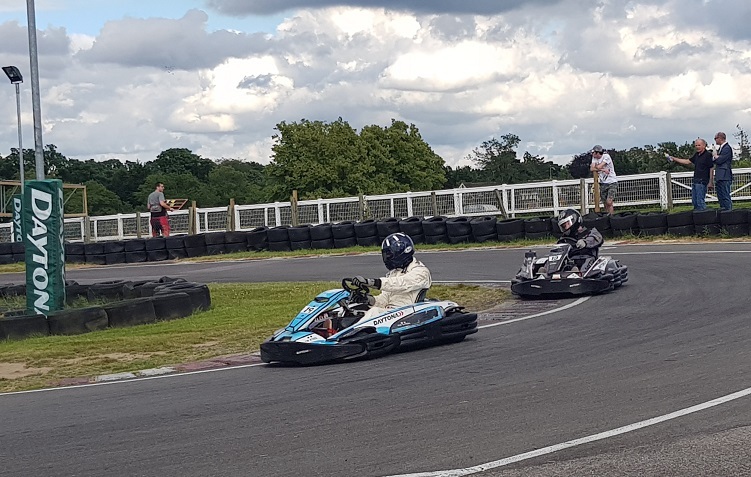 There was great a mix of people, from solicitors to interior designers, which turned out to be one of the most intense and competitive Karting Challenges halow has hosted yet! In amongst the mix were the ‘All Stars’ team, which included drivers from TV and motorsport such as Hollywood stunt driver Salvo Cachia, Top Gear TV presenter and motorsport journalist Rory Reid, Le Mans driver Warren McKinley, GT4 Ferrari team racing driver and Top Gear driver, Jon Platt. 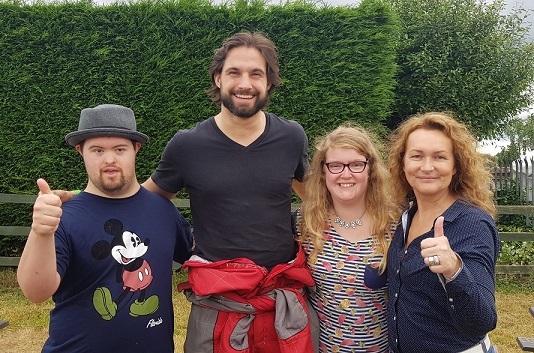 Also participating in fundraising for halow was celebrity guest, Jamie Jewitt from Love Island. • Make and meet friends through social activities. • Build confidence and life skills. • Access meaningful work and homes of their own. This year was a fantastic amount of fun, and everyone at halow thank all who participated and supported us on the day! If you would like to be involved in next years Damon Hill Karting Challenge, please contact fundraising@halowproject.org.uk. Congratulations to Georgia Gibson-Smith for winning our raffle at DHKC18! And a big thank you to Corkage Guildford for donating a bottle of bubbly for the DHKC18 raffle, and to Silent Pool Gin for donating their voucher. Daytona Sandown Park, Alan and Anna Gow, Darren Turner, Paula Hamilton, BTCC and Warren McKinley for donating this year’s auction prizes for DHKC18. From Grand Prix tickets to rare, framed prints, you all helped raise invaluable funds for halow!